I’ll be updating this page with my thoughts and notes as best I can during the event. 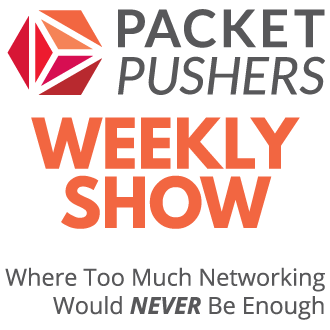 We covered the Statseeker product in detail in a podcast over at the Packet Pushers Show 116 – Statseeker and Network Monitoring – Sponsored . Statseeker makes a SNMP polling engine that focuses on 90% of what you need in a minimal footprint. 1 Gigabyte of storage per 1000 ports per year. Licensing starts at 1000 ports. providing sponsorship to ONF labs and OpenSSL project for ARM to provide FIPS2 compliance. long history of developing serial devices. Executives have built several businesses on serial devices. Flash memory can hold IOS image and then able to XMODEM images to the devices. 3G modem as option or built into the device. They are going so fast through the features that I’m getting lost. Support as a Nagios remote agent. Dual power supplies (for A/B electrical feeds). I’m struggling to think of anything that they don’t support. SSL VPN to call home using Internet based services. 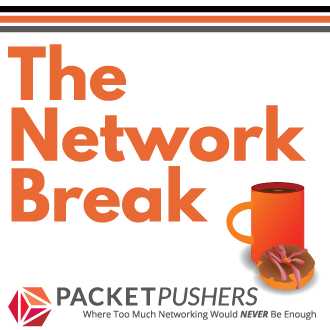 Partnered with Solarwinds, Zenoos and Nagios. Can monitor if someone unplugs the serial cable – from the management platforms using SNMP. Existing tools for Solarwinds, Zenoos and Nagios. Environmental monitoring – temperate, phsyical using 5V open/close. Cisco UCS E-series are installed into OSR routers. quite a lot of horsepower in there. Big CPUs, big memory. Centralised manager is on the roadmap to remotely manage E-Series servers. E-Series blade has configuration options to be able to restrict IOS to Blade access. In the CIMC there is a “Lockdown IOS Configuration” button. server integrated into a Cisco router is covered by Smartnet contract of the router. If you buy VMware vSphere as a Cisco SKU, then software maintenance is covered by ISR chassis Smartnet. There are some interesting budget features on long term costs of ownership here.